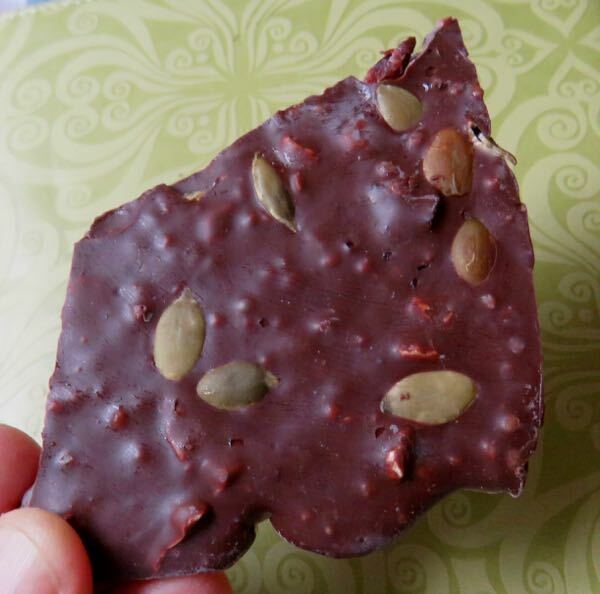 Today's Sheila G's Thindulgent Dark Chocolate Bark was from Brownie Brittle, LLC (West Palm Beach, FL)—a company founded by Sheila G. Mains. This Organic dark bark had a rich, slightly earthy, fruity chocolate aroma. 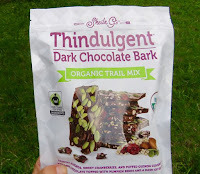 It contained bits of almond, dried cranberries, quinoa, and a hint of vanilla and sea salt. A generous scattering of pumpkin seeds added color and texture. 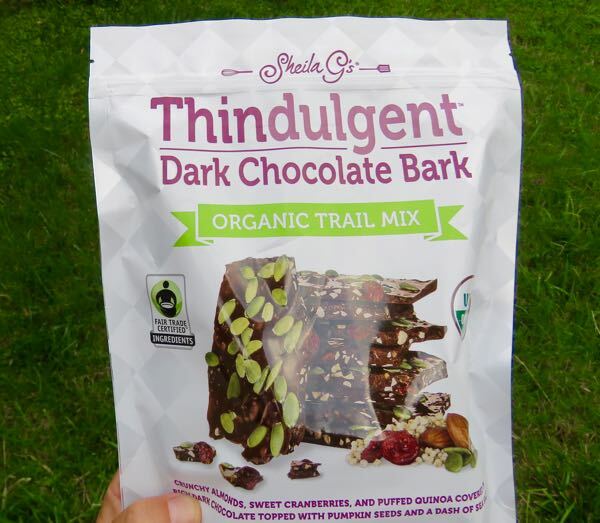 Organic, high-end trail mix enveloped in thin sheets of fair trade dark chocolate brittle. Not a bad idea for a snack. The generously-sized, large package held enough bark pieces to satisfy more than a dozen people. Note: This flavor may not currently be available, or may have been discontinued; it was not listed on the company website this week.